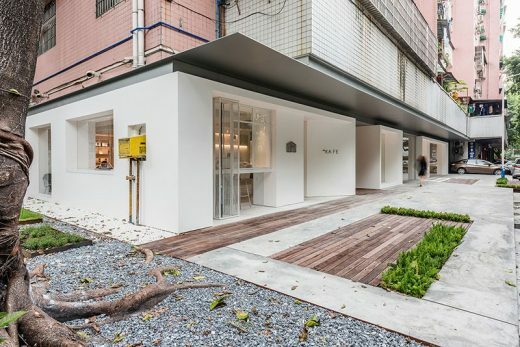 Located in a residential neighborhood next to the Tianhe district in central Guangzhou, Atelier Peter Fong by Lukstudio revives an empty corner lot into both an office and a cafe. Through a series of clean white volumes, the design purifies the existing chaotic site to create a calm yet inviting atmosphere. From the outside, a floating aluminum canopy connects the volumes together, while delineating between the old and the new. 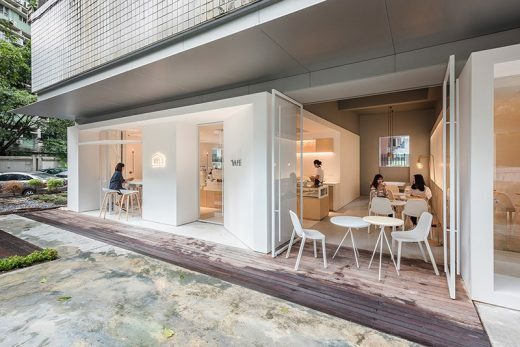 Three boxes stick out from the interior, composing a coherent façade while creating areas in-between like urban alleys that draw people in from the street. Each box contains a distinct program; café, brainstorming area, meeting room and a break-out lounge. In contrast to the pristine forms, the voids are painted gray and left with the original structural ceiling. Following a process of meticulous spatial carving, openings and niches are shaped within the volumes. Large cut-outs connect the café to the exterior and frame the surrounding greenery. 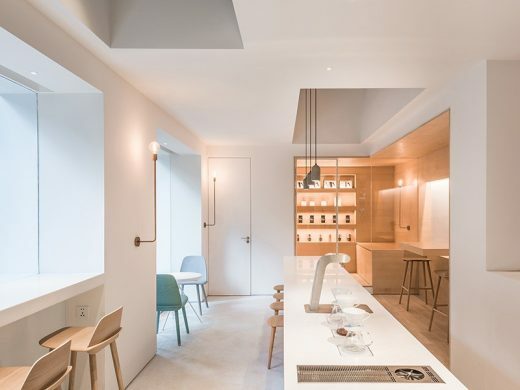 On the inside, white ceiling pockets and wooden niches create a sense of intimacy. The office entry is also carved at its edge to feature a peaceful Zen garden, which becomes a focal point and visually connects the different parts of the office together. The selection of materials further enhances the pure definition of the spaces. 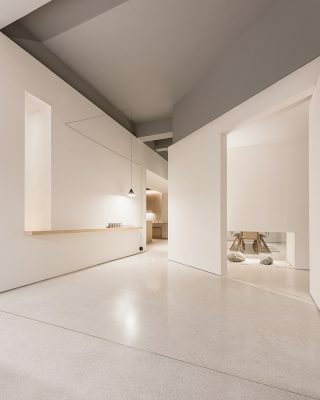 Smooth surfaces such as white walls and terrazzo flooring dominate the main space, serving as a canvas to capture light and shadow. 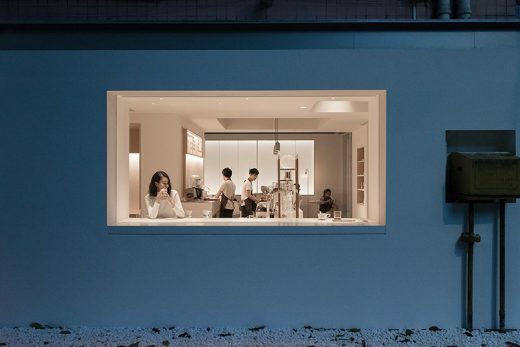 The brainstorming box is lined with polycarbonate panels that form a subtle visual connection between the café and the workplace. Intimate areas are characterized by organic elements; such as continuous timber panels in the brainstorming zone and remnants of an existing brick wall in the lounge. 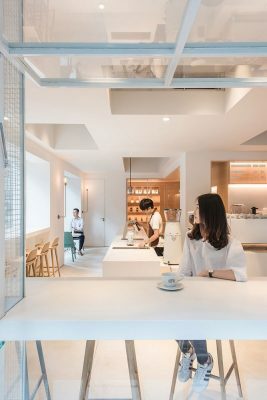 Combining artisanal café culture with a collaborative co-working space, Atelier Peter Fong adapts a contemporary social model to a local Chinese neighborhood. The complete transformation of a forgotten site into a destination demonstrates how architectural interventions can activate the streetscape and enhance nearby communities.